BIGGEST TUESDAY OF YOUR LIFE! Who doesn’t need a little laughter in their life? 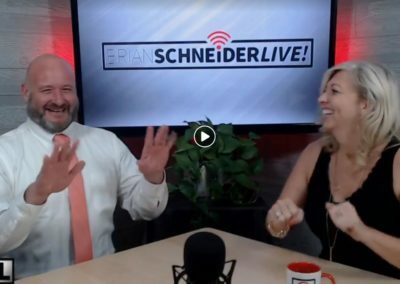 Brian Schneider will make you laugh OUT LOUD! Beside Brian’s quotable riffs on life and other ridiculous things, he has guests who bring great ideas to you – when you tune in. Life is meant to be lived like a cross between a cavalry charge and a dance around the May Pole. Brian’s guests can change your LIFE! 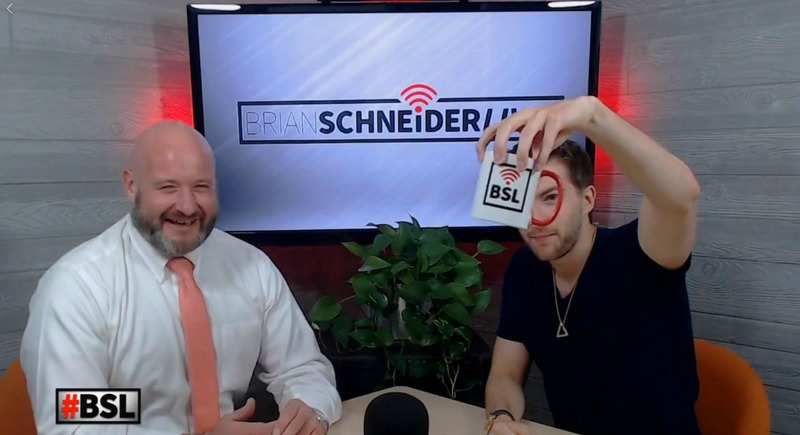 The “Brian Schneider LIVE” show has unquestionably one really effective weapon—laughter. Each week special guests are met at Brian’s round-table, where Facebook followers can engage real time by asking questions and sharing their own opinions in the comments. 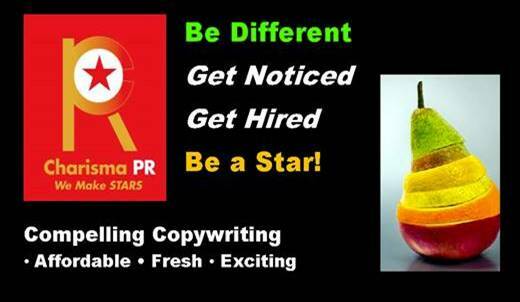 Brian’s hidden agenda is not just about promoting a person, product or service but about sharing with followers special inspiration that they can use in other parts of their lives. 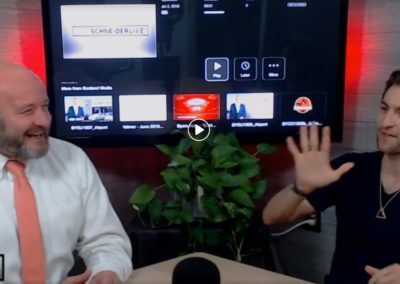 Brian’s passionate interaction with guests and listeners and his fast-paced, fun delivery make his live show funny and inspirational for thousands of people each week. Some people think that life is just putting one foot in front of another and slogging along, like you did when you were seven years old and trudging to school through mud and slush. Brian can help you laugh your way through whatever may happen in your day. Don’t take everything so seriously – learn how to break through all the humdrum and worry and giggle yourself happy! Why not try a guffaw, a hoot, hey – maybe even a snort – of merriment to roll through another SOSO (same old same old) day? Brian’s motto is “Get your laugh groove on and lose the gloomies!” Let all the tension and madness of work, relationships and dealing with all the other buzzkills of life just roll off your shoulders and go away. The sun is ALWAYS shining in Brian land! Make Today The Day To Make Your Dream Come True. –Take Action! 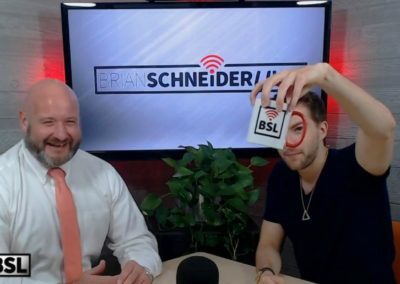 Brian Schneider - LIVE was live. Sometimes someone else’s vision of you takes you away from your own vision. 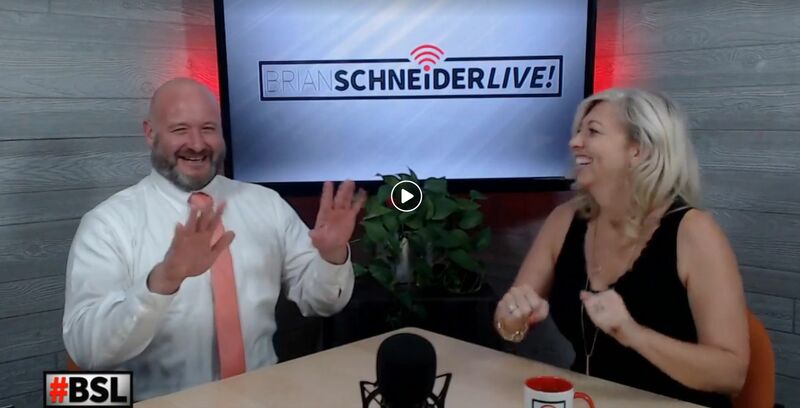 Brian Schneider - LIVE shared a live video. Originally, thought it was about a new golf course. Speakeasies, little bushes, this guys pretty shady! What are the benefits to Selling my home with an agent? Won’t I save money selling it myself? CHRISTIAN: What would you consider the #1 area to update our 20 year old home before putting it on the market? As a rule, is it better to buy the best house on the street or the worst house and fix it up? What sells houses faster… New bathrooms or kitchens? I went on a first date with a guy once and we went to Applebees for dinner. We met online and had never met in person before this date. His conversational skill was quite off , as he began to let me know he had spicy spaghetti the night before so if he disappears off to the bathroom for awhile it's because he is "blowing it up" in there. I'm not an uptight person, but it was not a good first date dinner conversation topic!! Lol To add to it .... when the waitress brought our food to the table and he immediately stuck his fork in my mashed potatoes and crammed them in his mouth. Before I even tasted it. Again , I'm not uptight.... but you just never fork on the first date !! Lol needless to say there was not a second date. After my divorce, I met my current wife through--are you ready--Parents without partners. Making Your Life Happier – and Better.